Acknowledge that board positions an unpaid and do not offer internship or course credit. Understand that some positions require more time than others, but board positions are equivalent to a full-time job in the workforce. Board members are expected to fulfill the work given by the President and other board members by the deadlines assigned. This applies to work you consent to finishing from and with other executive board members unless an agreement is made. Board members should work to help brainstorm ideas of incentives for members to stay involved. Information relayed on behalf of the organization must be accurate. This includes emails, social media posts, and verbal conversations. Separation of personal and professional matters. Please acknowledge that this is a full-time position. You are to work with the other board members for the course of two semesters unless stated otherwise. It is expected that you act respectfully towards other executive board members, professionals, and members. If an issue is brought to your attention, do not contact other board members to find out who reported the issue. 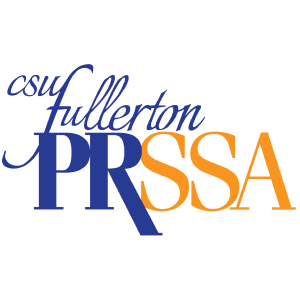 The California State University, Fullerton’s PRSSA Chapter does not condone or accept any form of bullying or harassment. Do not spread rumors or gossip about board members or members. Treat everyone in the organization with kindness and respect. Excessive texting, Snapchatting, or using any other forms of social media during meetings. Emailing or working on homework that is not related to PRSSA during meetings. Talking during someone else’s time to speak (i.e. during position reports). When in a PRSSA setting, please conduct yourself with a manner of professionalism. In that moment, you are representing the organization, Chapter, CSUF, your faculty advisor and the president. At general meetings and events, you are there to help all members and to be available to them. You must fulfill your duties and be on time for events as outlined by PRSSA By-Laws and below. You may not only talk to your friends or favor your friends at events. Please remain engaged in the event (stay off your phones except for PRSSA related issues). Be aware that members and the guest speakers are acknowledging your presence and are looking to you as an example. Please make sure to host, welcome, introduce yourself, and thank all guest speakers at bi-weekly meetings. Leaving events early without proper approval by the President or the board member in charge may result in disciplinary action. When addressing the whole board or organization, keep your language and comments professional. Refrain from cursing or inappropriate language in professional environments. If as an executive board member you find out someone in the organization is being harassed, notify the Faculty advisor and President immediately. As an executive board member, you are responsible for looking out for the safety of all members. Even if the victim has not come forward, you are required to say something. Please see the Sexual Harassment Policy for more information. Issues with Executive Board members must be worked out between the affected board members. If the issue cannot be worked out, then the Vice President must be informed to take further action. The Vice President will contact board members affected to try and resolve the issue, as well as notify the President and Faculty Advisor. After addressing the issue with the Vice President, if a solution is not created, there will be a sit-down meeting with the President and Vice President. If the issue persists, a strike will be issued to the affected parties (see more below). The Public Relations Student Society of America Chapter will implement a three-strike system for disciplinary action. Strike One will result in a warning from the Vice President. Strike Two will result in a meeting with the President and the Vice President. Strike Three will result in an election for removal from the Executive Board. Failure to comply with any of the items listed above will result in a strike. This Code of Conduct is subject to change the vote of the Executive Board. As a part of the executive board, I understand that I must comply with all aspects of the Code of Conduct. Failure to comply to any of the above requirements could result in a strike. If at any given time during my position I receive three strikes, I understand the process of removal must be taken and could lead to my removal of the Executive Board.